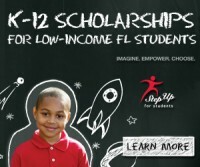 Step Up For Students provides scholarships for low-income Florida students and believes in equal educational opportunity. Your household must meet certain income and residency requirements. See the Step Up For Students website for full details. AAA awards Private School Tax Credit Scholarships to eligible students from eligible households to help them attend an eligible private school of their choice. 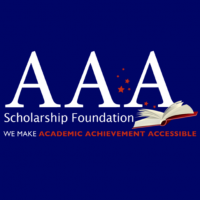 AAA scholarships assist economically-disadvantaged families pay for tuition and fees. Certain conditions apply. Your household must meet certain income and residency requirements. See the AAA Scholarship website for full details. A goal of Faith Christian Academy is to provide a Christian education for every potential student that desires it. Your household must meet certain requirements. Family awards are issued on an “adjusted gross income basis,” dependent on household size, medical bills, charitable contributions, among other criteria. The McKay Scholarships for Students with Disabilities Program provides scholarships for eligible students with disabilities to attend the public or private school of their choice. 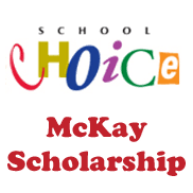 Any parent of a public school student with a disability who has an Individual Education Plan (IEP) or 504 accommodation plan may receive a McKay Scholarship if the student meets certain requirements. The amount of the scholarship is equal to the amount the student would have received in the public school to which the student is assigned or the amount of the private school’s tuition and fees, whichever is less.